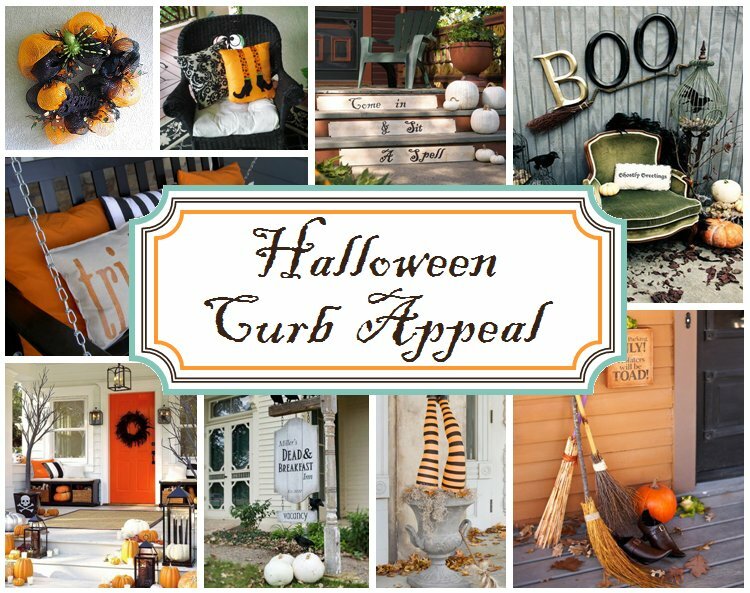 Yesterday our prep focus was pumpkin inspiration and today we're shifting to curb appeal to get our homes ready on the outside. 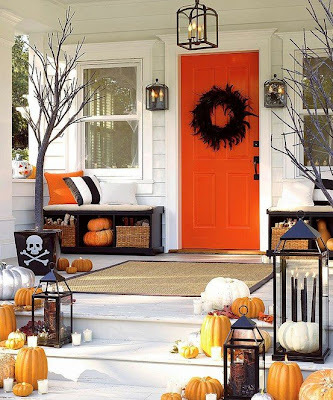 Since you probably don't have a spell handy to turn your house into a pumpkin cottage this year, we've collected a few great ideas to conjure up a designer's recipe for Halloween delight. 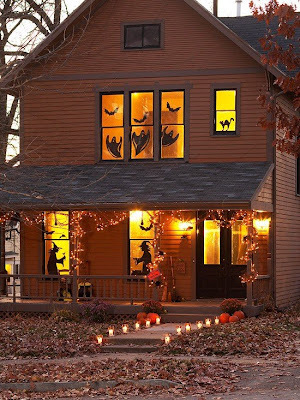 Show your Halloween spirit with these great window silhouettes. They're easy to make and you can find the patterns here. I love the idea of adding plaques to step riser fronts. This particular tutorial mentions using paper, but I'd recommend something more substantial like a thin piece of wood so the plaques can be used again and again. 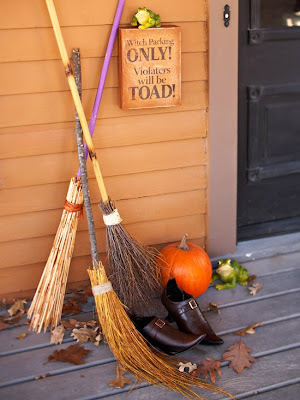 They would be great for any time of the year too...simply change out the message with the seasons. 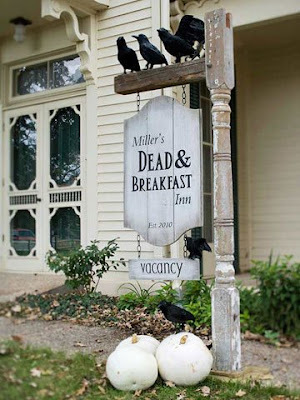 Adding a Dead and Breakfast Sign in the front yard is so fun!! The ravens are the perfect touch and a must if you make this sign! 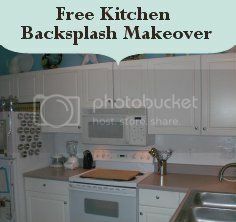 You can find the templates and tutorial instructions here to make one of your own. 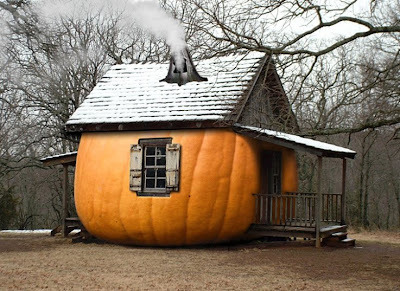 Orange is not one of my favorite colors, but for some reason as soon as fall hits, things shift and I LOVE it! The backdrop of crisp white with that pop of bright orange and black accents feels so right...and what about those potted "trees!!" 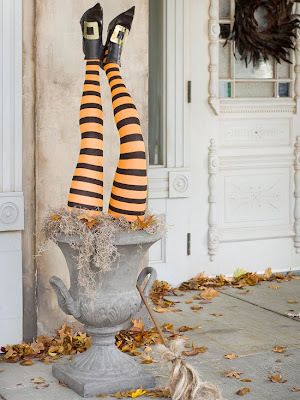 Such a simple project...they could be created by using limbs that are probably already in your yard. 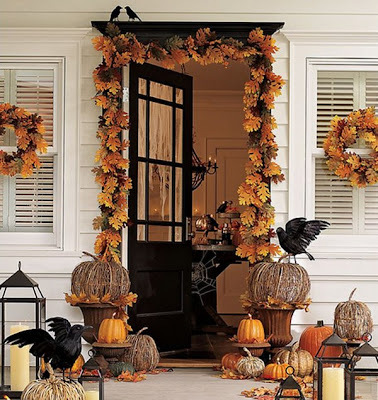 The fall elements of leaves and pumpkins are perfect for Halloween, but they also transition well into November for Thanksgiving. 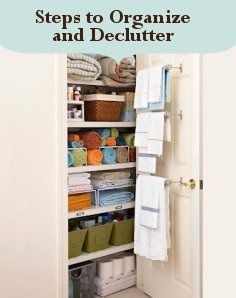 Not only is it a frugal option, but a time saving one too! 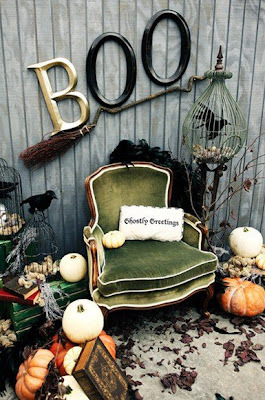 No need to decorate twice (; Just remove the ravens and your set! 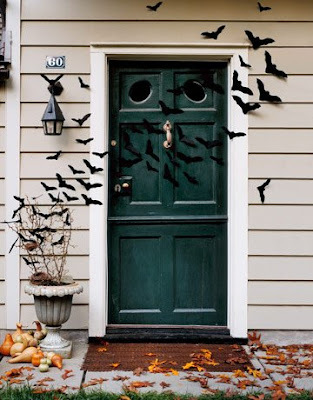 A flock of bats swirling about the front door is something to see! Hop over to Country Living for the templates to design your own spooky entryway. 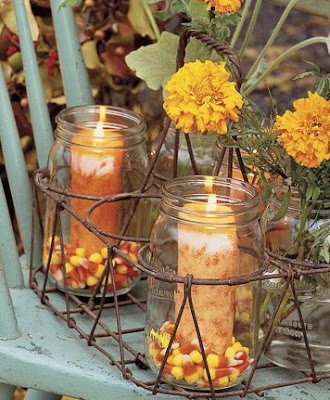 Every homestead needs a mason jar somewhere in their Halloween design (; The glass jars make perfect candle holders...fill with candy corn and then perch in wire baskets. 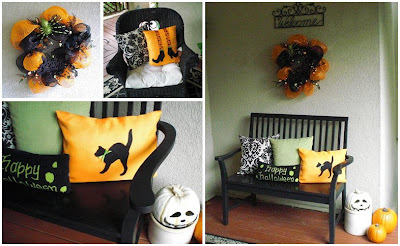 Jessica over at Chapman Place has a great tutorial for Halloween pillows. 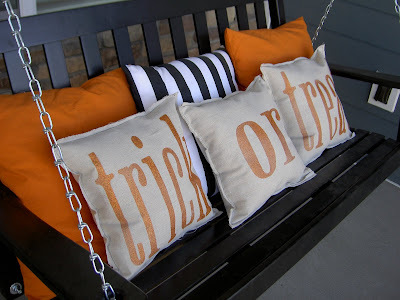 Amazing what canvas drop cloth and paint can become with a little creativity (; We love the long narrow Frankenstein shape...it would be perfect for our front porch bench! 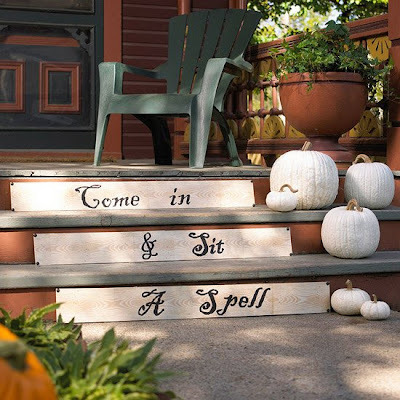 Cast a spooky spell over your garage door by treating it as a canvas for a Halloween scene. Use black contact paper, which sticks well and comes off easily. 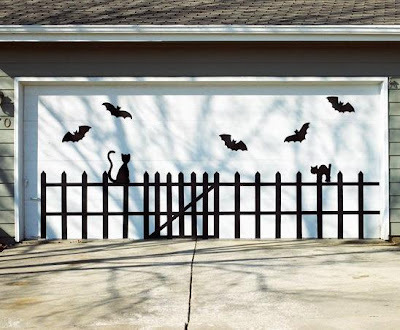 You can find the ghostly garage pattern template here. 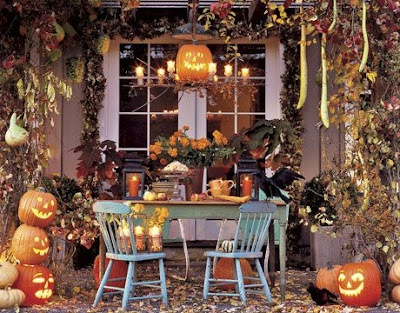 I hope these outdoor inspirations will encourage you to cast a spooky spell over your neighborhood this Halloween. Try something new and add a little fun to the holiday. 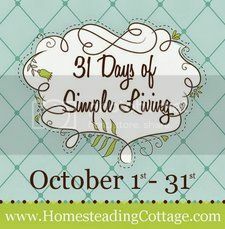 Please join us again tomorrow as we continue our 31 Days of Preparation journey...we'll be sharing some great wreath ideas for inside and outside of the home so stayed tuned! 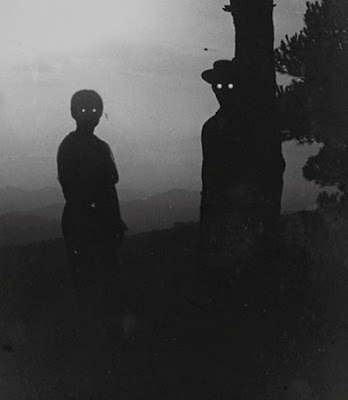 Enter your email below and each post will automatically be delivered to your inbox. 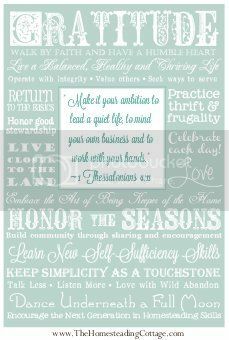 Don't forget to stop by the many other 31 Dayers for additional inspiration!